Incontinence care is serious and if not managed properly, residents could experience serious complications and your facility could face a negative impact on your Five-Star Rating. Comfort Care™ pad can help you keep your residents safe and protect your ratings. Every situation that occurs in your facility likely has an element that includes the potential to impact your Five-Star Rating. For example, something as common as managing resident incontinence can impact your ratings. However, with the proper tools, you can protect your residents, their skin and your Five-Star Rating from break-down. People who have developed incontinence (difficulty controlling their urine or bowels) are at risk for skin problems. Excess moisture in vulnerable areas can lead to discomfort, sores and possibly even infections due to skin breakdown. If residents in your facility begin to experience skin complications related to incontinence, it could affect your Five-Star Quality Rating. As part of these comprehensive health inspections, trained inspectors check the quality of care, inspect medical records, and talk with residents about their care. Frequent reports of skin breakdown or residents’ discomfort due to incontinence will reflect poorly on your facility’s rating. They key to preventing skin breakdown is to ensure that moisture is not sitting against the resident’s skin for long periods of time. Of course caregivers will clean residents with a mild soap and water and carefully dry them after it is discovered that a resident has had a void, but the staff may not always be aware immediately after it’s happened. In cases where a resident is sleeping, staff may not know to check a resident until their next round through resident rooms. One way to help protect residents and ensure their safety is to use incontinence underpads designed for resident skin care, not just for protecting the mattress. A high-quality underpad protects the resident’s mattress and the bedding laying under the resident but it also wicks moisture away from the resident’s skin as quickly as possible. Changing out a pad in a resident’s bed is a quick process, making it easy to remove them regularly and replace with clean pads for added protection and comfort. Beyond underpads, Encompass offers a complete line of incontinence care products including adult briefs, diapers, and adult clothing protectors. Our underpads and briefs are available in a variety of fabrics, soaker weights, blends and sizes allowing your facility to find the right combination to support your residents. Disposable products work well when managed well but, when appropriate, using reusable pads and other incontinence care products offer more absorbency and skin-friendliness than similar products on the market. Reusable products that can withstand the commercial laundering process can considerably reduce expenditures and storage costs. Regardless of which products your facility chooses to use, the most important element required to keep patients safe when managing incontinence is keeping their skin dry. Protecting their skin from potentially dangerous break-down issues will also keep your facility’s Five-Star rating safe from deductions due to incontinence quality care issues. 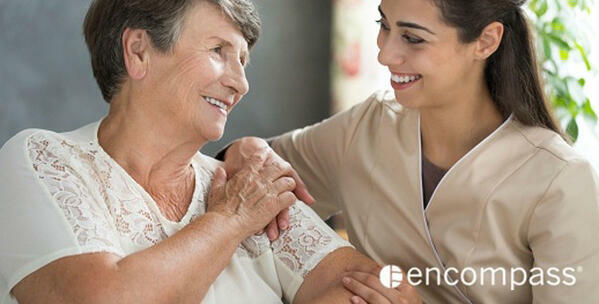 Encompass incontinent care products can provide an answer to any resident need and caregiver requirement. Call us today at 1-800-328-5525 to discuss the products you need to keep your residents safe and comfortable.